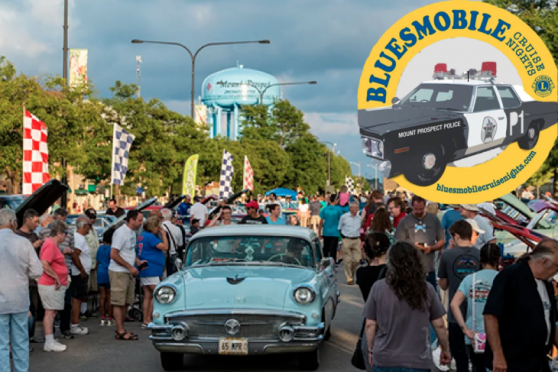 Time to get out your classic cars and join 94.7 WLS for Mount Prospect’s BluesMobile Cruise Nights on Saturday, August 31st from 4:00pm-7:00pm at the Mount Prospect Lions Club at Northwest Highway and Route 83. Each cruise night has a different theme and this time, it’s 80’s Night! Enjoy classic cars, entertainment, and mingle with the community. Plus cruise by our tent for a chance at some awesome prizes because our promo team will be giving away some station goodies giving you a chance to Win Ticket to see 80’s Icon Adam Ant! Tickets furnished by The Riviera Theatre. BluesMobile Cruise Nights run every Saturday from May through October. For more info visit mpdowntown.com/events or check out their Facebook page here!